An Education Edition of Mineicraft has been released for the iPad. To use the app you'll need an Office 365 Education account and a Minecraft: Education Edition subscription. Teachers around the world are using Minecraft: Education Edition to transform their classrooms and bring subjects to life, from STEM and history to math and language arts. Minecraft: Education Edition provides hundreds of standards-aligned lessons, classroom-friendly features, tutorials and downloadable content. ● Minecraft is so much more than just a game about breaking and placing blocks - it's an adventure where players work together to create and explore wonderful, imaginative worlds. Now, Minecraft is transforming how people teach and learn in over 120 countries with over 100 million players worldwide. 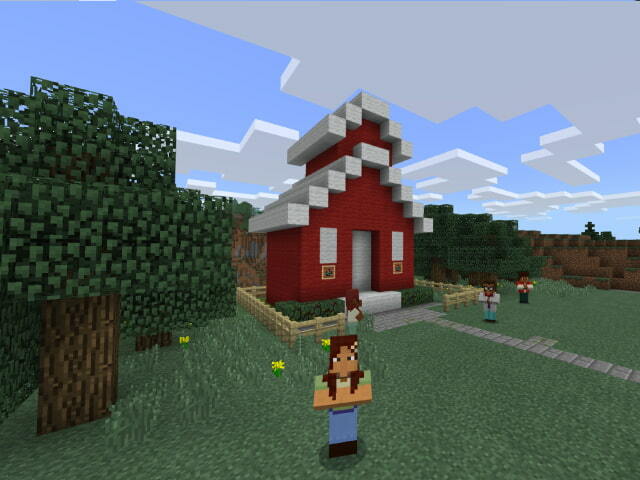 ● Minecraft: Education Edition brings the creative and immersive environment of Minecraft to classrooms around the world. Educators are empowered to use game-based learning and inspire students to express their ideas, explore and build amazing worlds and write their own stories. The possibilities for learning are endless! If you are not sure whether you have a Minecraft: Education Edition subscription, talk to your teacher or school IT Admin. You can download Minecraft: Education Edition from the App Store at the link below.